The end of February and the beginning of March were characterised by snow and bad weather which while it might have been fun to walk in, made public transport to the Lakes rather a risky proposition. All this put paid to my chances of getting a walk in during this period, as planned. But things opened up, finally, yesterday — 13th March — which, in Great Langdale at least, was a day of glorious spring. 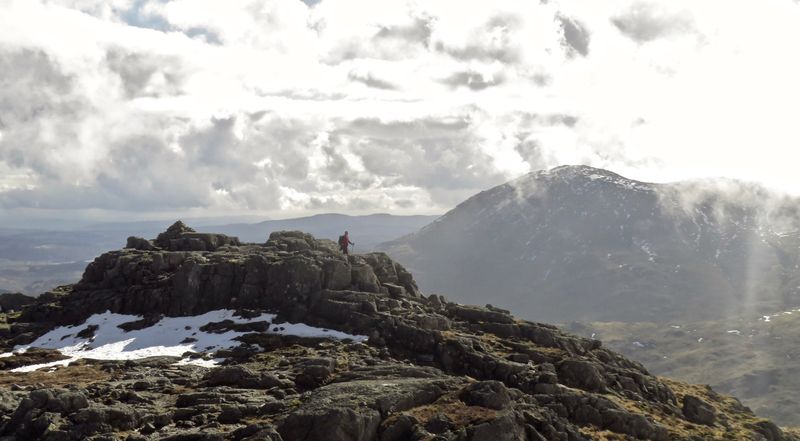 The weather did not quite persist with this quality all the way round, but it was still a fine day to be out on walk 143, which took in four summits from The Southern Fells: Pike o’Blisco, Great Carrs, Grey Friar and Swirl How. All over 2,300 feet, which makes a change from other recent walks. Read all about it and see more photos on the walk 143 page. Subsidiary summit of Pike o’Blisco, viewed from the main summit. 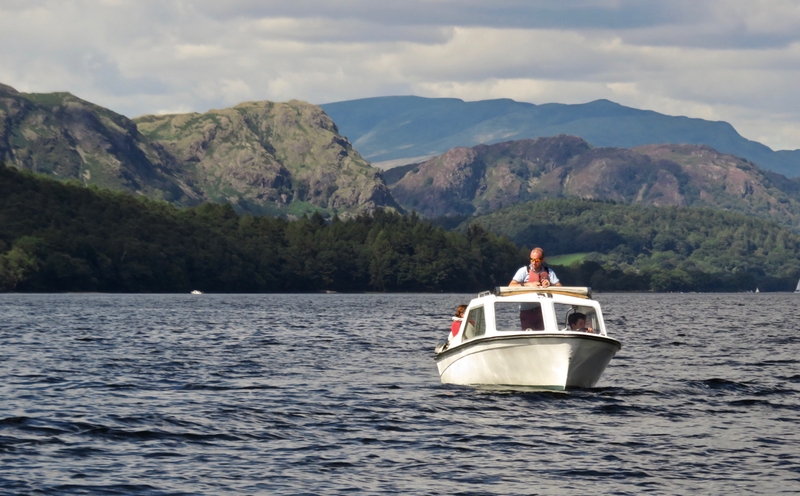 Wetherlam behind. As of today then, I have bagged 139 of the 330 Wainwrights for a second time, thus have 191 to go. More cold weather is forecast meaning I might not get to follow through with my plan to walk this coming weekend, but if it doesn’t happen, the next walk should be my annual Easter jaunt, and that will hopefully be in the west of the District as I really need to get some more bagged from volume 7. 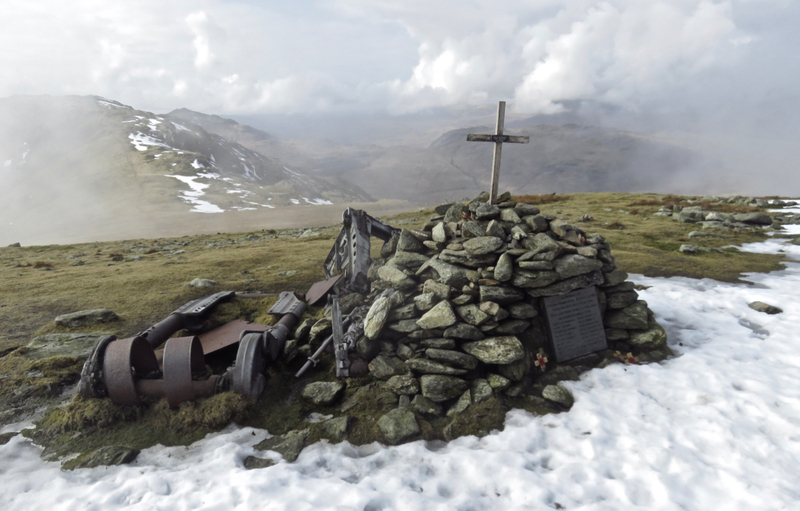 The summit of Green Pikes and the view of the Scafells that distinguishes the later stages of this walk. Hot on the heels of my last walk a week ago, walk 98, I headed for Coniston again. 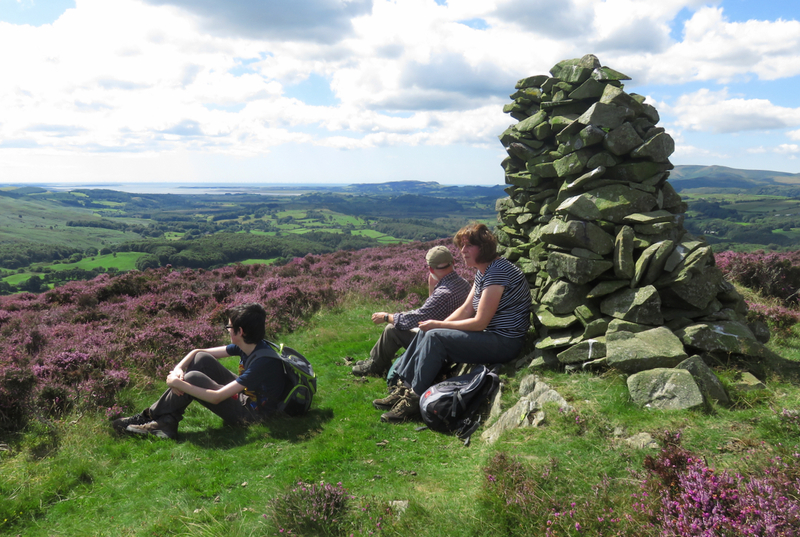 Walk 99 took in the three new summits of Caw as well as a revisit to Walna Scar. All good walking with fine views. As of today then I have bagged 314 of the 330 Wainwrights, thus have 16 to go. None of them are particularly easy to reach, so I am as yet unsure exactly when and how I’m going to do them. But before I do I have other things to worry about, namely getting up and down Kilimanjaro, where I head in just over a week’s time. Wish me luck, and check back here around 8th August by which time I will be back and doing my duty by blogging about it. I didn’t mean to leave a gap of nearly seven weeks between my last walk on 23rd May and walk 98, but that’s what has happened. Never mind — the break is over. 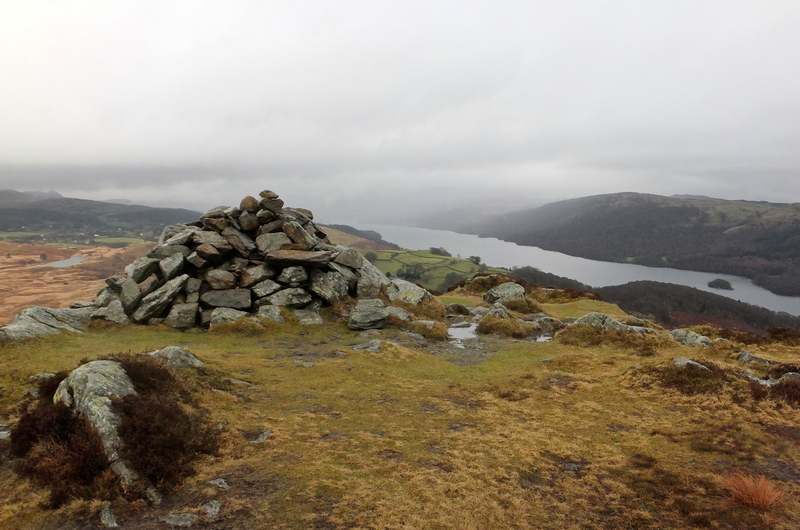 Walk 98 saw me bag five of my remaining Wainwrights that lie in the low country between Coniston Water and Windermere and are gathered into two chapters in volume 8: Top o’Selside and Carron Crag. 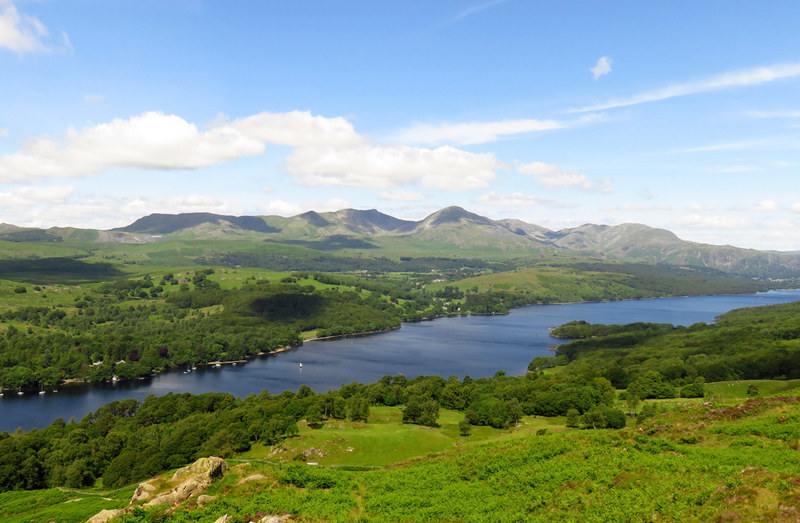 The walk was done in very good weather again (I have picked my days well this year) and was worth it for some fine views of the Coniston fells, as you can see here. The view of Coniston Water and the Coniston fells behind, from Brock Barrow. As of today, then, I have bagged 311 of the 330 Wainwrights and thus have 19 to go. 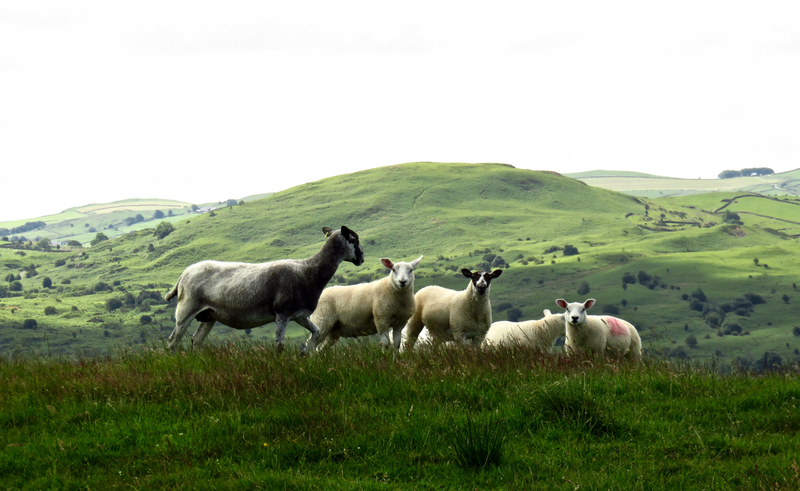 These 19 remaining summits fall into five groups, two of which are near enough together (and hard enough of access thanks to the culling of the Shap bus) to make a two-day walk feasible. I also need to get some proper training in for my walk of Kilimanjaro, which is now just over two weeks away. So unless the weather is very poor expect that two-day walk to take place next week. I am walking up Kilimanjaro from 28th July – 4th August to raise money for Calder Valley Search and Rescue, to help them buy a new off-road ambulance so they can help those in trouble on the fells. If you would like to help me help them, even with just a small donation, you can do so online via my sponsorship page… thank you! 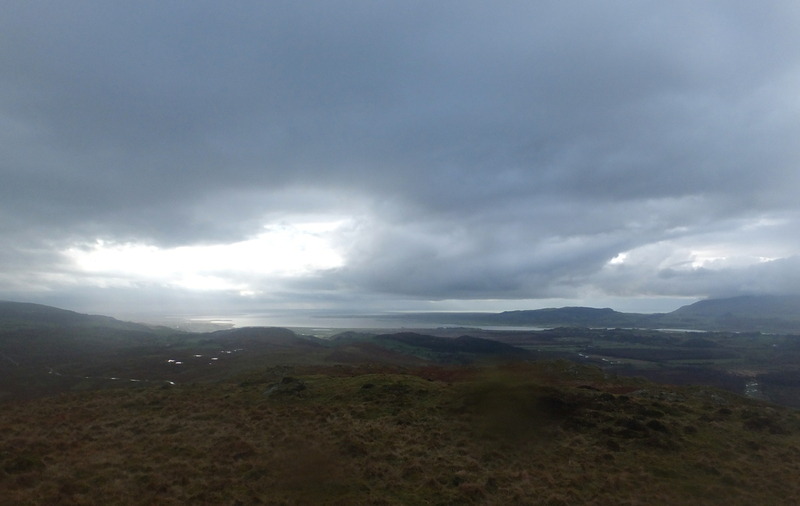 Many of my walks in the last couple of years, since I started on the Outlying Fells, have borne no resemblance to ‘mountain climbing’ — which is not to say they have been unsatisfactory. 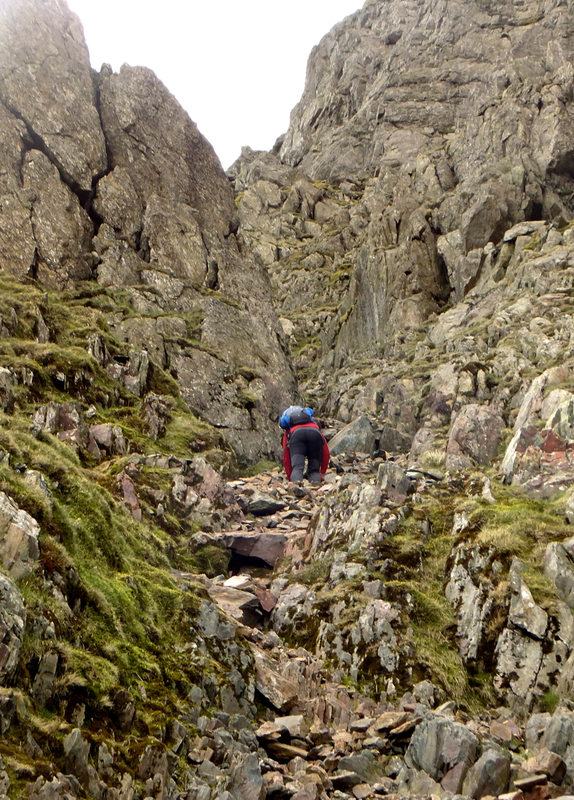 The trip I made this weekend, however, was a definite exception, thanks to hauling myself up the face of Dow Crag via the route known as South Rake. 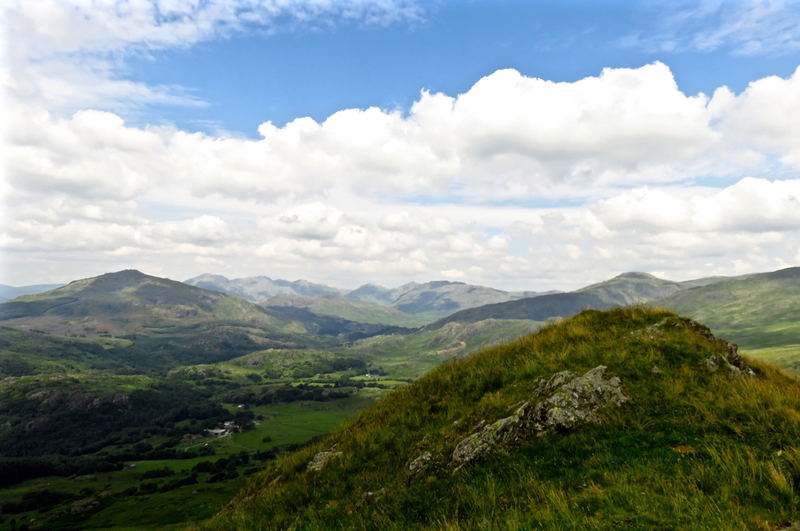 Having embarked on a second round of Wainwrights, I want to try routes that I didn’t do the first time, particularly if they sound interesting or adventurous — and South Rake definitely was that. Read about it on the walk 96 page. The walk also took in the outlier that is Walna Scar, which means that I have now bagged (for the first time) 303 of the 330 Wainwrights and have 27 to go.